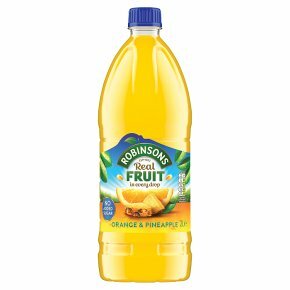 Concentrated Low Calorie Orange and Pineapple Soft Drink with Sweeteners. Real fruit in every drop. No added sugar - contains naturally occurring sugars.